How can one show the heights of the highest mountains and lengths of the longest rivers in the world in a single, comprehensive view? This 1832 image by W. R. Gardner & William Darton set a new theme for depicting the world in a totally new way, both dramatic and detailed. 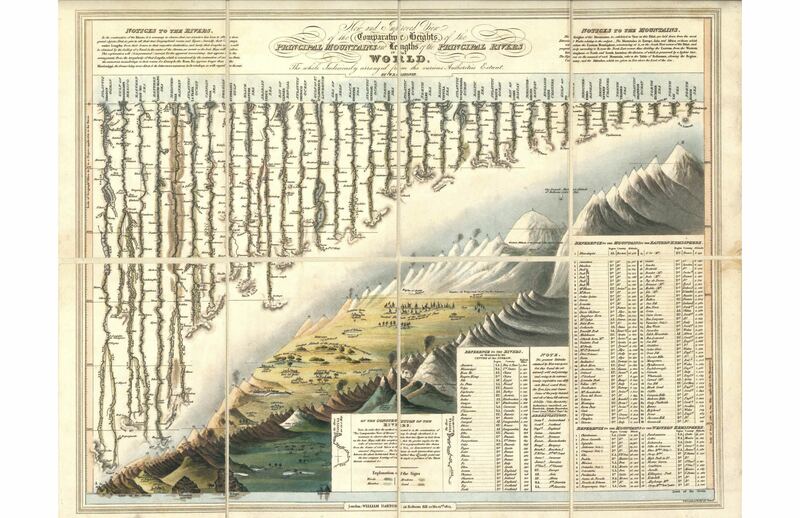 It launched decades of similar comparative charts of geographical features without the constraints of the map. They order the rivers by length and the mountains by height in a pleasing display; but they also show details of the rivers and mountains both in numerical tables and in a whimsical design depicting features to excite the imagination.